Today’s triathlon was either going to go very right ... or very wrong. I’d arrived back from a week in Portugal where I’d been eating ALL the food and refusing to run further than 3.5 miles. I was going to count that as a taper and carb loading. It had also been around 38 degrees and the rumours that had reached me of a UK heatwave had made me think that maybe I could count ‘lying by the pool and occasionally getting up for a cocktail’ could count as heat training. 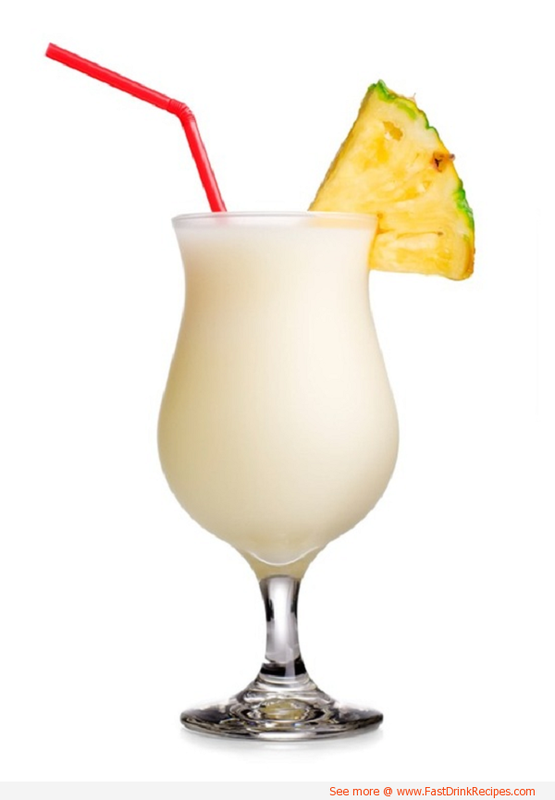 And I was definitely counting the Pina Coladas as hydration. So. A damn good weeks training. However despite my exemplary training *cough* it didn’t seem as though race morning was going to be that easy after all. After being woken up by the 6 year old at 3am, an hour before my alarm was due to go off, I’d finally loaded everything into the car and reached down into the passenger footwell for one of the energy drinks I stash there and was smacked hard between the eyes by the massive Turkish Eye charm hanging from my rear view mirror. I wasn’t sure whether that was a lucky omen or whether it just meant I shouldn’t have massive bits of glass hanging off the mirror unless I wanted a headache. I had my breakfast of flapjack and anti-diarrhoea tablets in the car. It’s not a standard pre-race breakfast but after a having a dodgy tummy for the last few days in Portugal I thought it safest. I did not want a repeat of TP100 and it wouldn’t be fun spending 3 hours too scared to fart. However missing the tablets WOULD stop people drafting me although it would also mean I’d need to disinfect the bike and my trainers after the race. I got myself to registration and was helped with my wrist chip by the lovely Laura from Wellingborough & District AC and after trying to get my brain to understand which way round I needed to rack my bike I got my kit set up and managed to talc the entire area. Jean SV was doing the Getting-Into-Wetsuit-Dance so I left him alone but Loz was setting up too and I stopped for a chat. However it appeared that Loz needed a couple of hours of concentration to get her tri kit set up in a complicated ritual involving floor towels, multiple drinks bottles and snacks so I left her to it. The time flew and remembering Mary’s advice (ACTUALLY remembering her cross face when I said I didn’t) I managed to persuade Loz to do a short warm up run around the transition area. I SAY run but I MEAN dance. She danced. She was so concerned about getting duck poo on her toes she riverdanced her way around the field squeaking every time her toes touched something squishy. I didn’t like to remind her she’d have her mouth open in the reservoir shortly in water infused with the stuff. Allowed into the water, we bobbed around. The reservoir bottom was soft mud (soft duck ‘mud’??) and it was warm, not the freezing cold I’d expected. I bounced around and got my face wet ready to go. Loz was over on my right, I waved and we got on with our own pre-race nerve calming. The 30 second warning was given and we were off. I couldn’t even see the first buoy amid the sea of hats but had looked to see whether there was a sighting point on the shore beyond it. There was – a tall tree. I just had to aim for the tall tree. Easier said than done as I kept drifting off to the left and having to correct. I tried to keep on the feet of swimmers in front but kept losing them as they either slowed down too much and started doing breaststroke or were too fast me. I just couldn’t find a rhythm and the swim to the first buoy took forever. I spotted a black and purple wetsuit go past and thought it might be Loz. I finally got past the first buoy and waves from the left kept splashing over my face every time I breathed to that side. I kept checking expecting to see a splashy male swimmer (why are the splashy ones always male?) but there was nothing there. I also got a stitch at this point. A stitch?? Is that even a Thing in swimming? Ignore it, head down, get on with it, past the 2nd buoy. I just couldn’t get into a rhythm, just ploughing on. And then as though it was just to emphasise how slow I was going at this point I was overtaken by a lady doing breaststroke. She was probably wearing one of those floral hats and talking loudly to her friend Mabel too. Just keep going, Sarah. Finally I was around the 3rd buoy and swimming towards the ramp. I swam as far as I could towards the bank without beaching myself whale-style before standing and getting out of the water and running as fast as I could to the transition area. I’d decided not to undo my wetsuit until I got there as otherwise I just end up fighting my wetsuit on the move. Like Fight Club but with rubber. Better for me to run as fast as I can and then fight it stand standing still (this gives me an edge in wetsuit wars). But when I got to my carefully remembered transition spot, my kit wasn’t there. I looked around wildly, spotted Loz doing her confused face, gave her a wave, and then spotted my kit on the other side of the transition rail. Some bugger had moved my kit. I found a clear spot on the bar, did an impromptu limbo underneath it and started stripping the suit off and getting my bike kit on. Wetsuit did NOT want to come off my legs. Specifically my right leg. Apparently Baby Oil Gel turns to superglue when mixed with duck poo and lake water. Finally extricating my leg from the loving clasp of the wetsuit and getting my helmet on the right way round, I started to put into practise all the hours (*cough* minutes) of transition trials. But I was out on the bike and on the course. And I knew the route. Thanks to the recce I’d done with Loz a few weeks ago, I had a vague memory of where the bumpy bits were and where the turny bits were and more importantly which parts were downhill. I enjoy being out on the bike on triathlons. As a weak cyclist, it should be my hardest part but I love it. I’m out of the dark claustrophobia of the water and into the air; my hair and clothes drying as I go and free to eat and drink and not yet on the tired push-push-push of the run. I took the opportunity on the flat sections to have a drink and I’d fully stocked my bike bag with jelly blocks which I was throwing into my mouth like sweets and singing in my head: "Alllll the sweeties, so many sweeties" to the tune of Blur's Parklife. I was in the fresh air, eating sweets *cough – I mean fuelling* and away from the dark duck poo laden waters of Pitsford. Life was good. The course is undulating. Now Northamptonshire certainly isn’t mountainous but it’s not that easy to find a flat part and this course was 25 miles of bumpy lanes. The main hills were all on the main road which was the first out section and last 6 miles back into the Country Park but there are several interesting inclines to keep you busy in the middle section of the course. The hill that everyone knows though is the one that climbs up past the swan gates of Lamport Hill. There’s a beautiful view to your right but if you’re cycling up the hill you don’t realise this as your vision has blackened until you can only see 5 metres in front of you and you’re busy trying to work out where all the oxygen has gone. As a special treat for this triathlon, Northamptonshire County Council decided to erect some temporary traffic lights halfway up this mountain so just as you’re getting your teeth into this hill and gaining momentum you have to stop. And start climbing from a standing start. And hope you’ve remembered to leave your bike in an easy gear. I’d prayed to the triathlon gods that the lights would be on green and I’d be able to fly through them, past the Triathlon England official standing there with his clipboard checking that no-one skips the lights and carry on with the climb. And they were green. Until just before I got there. I stopped. And after a minute or so, so did the lady behind me who I’d been chasing for the last 8 miles and had overtaken about half a mile ago. Bother. The light turned green and I attacked the hill as did the group of cyclists behind me who had caught up as I’d stopped at the light. I really hoped the England Triathlon official wouldn’t be strict on the drafting rules as we moved in a clump up the hill. Besides surely drafting doesn’t work when you’re going 3mph? I attacked the hill trying to hold off the lady behind me who had caught me up at the lights. I hadn’t been overtaken by any other girls yet on the bike and my aim was to hold this for as long as possible. Then zoooooom. A lady in a Rugby Tri top came past like a rocket. Bother. I kept her in sight for as long as possible but couldn’t catch her. The bike section zipped past and I was at the final roundabout with a car coming from the right but the marshal bellowed “Go! Go! GO! !” at me and who am I to argue with a race official? I zipped into the first exit and into the lane to the transition area. I was shouted at to “Slow down!” by another marshal. Huh? Isn’t this a race? And came up to the dismount line where I managed a clumsy dismount to match my elegant mount 80 minutes earlier and ran the bike into transition. I saw 2 ladies heading out onto the run so made sure it was a short sweet transition and got out onto the final leg of the triathlon for some chasing. I caught up to the lady who had overtaken me on the bike and we exchanged a few encouraging words and I moved onwards. I’d been looking forward to the run. The stitch from the swim had eased on the bike and I’d taken the opportunity to drink and eat, suspecting that the original stitch might be down to dehydration from the tummy bug. I knew the run course very well having used it for long training runs for several different marathons so was expecting a good run despite my poor start earlier. But it wasn’t going to plan. 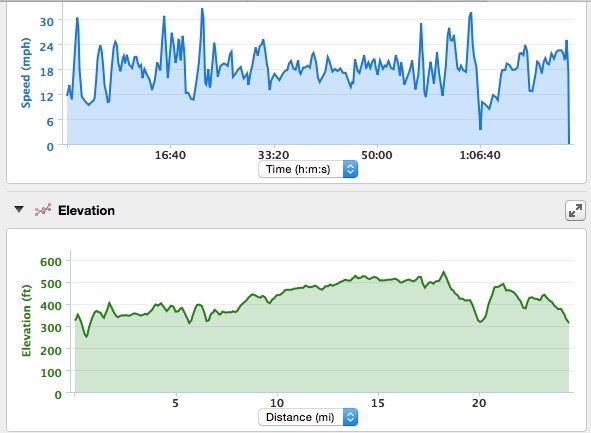 My Achilles were sore and tight and while I expected unresponsive legs off of the bike, this didn’t ease as expected after the first kilometre ... or the first mile ... or at all. I stopped for a drink at the first water station which is something I usually never do on runs of less than 10 miles and stopped several times to stretch and try and ease out the stitch which had returned with a vengeance. Nope. I was going to have to run through it. My pace was 8 min/miles and I couldn’t go faster than this without blowing up. 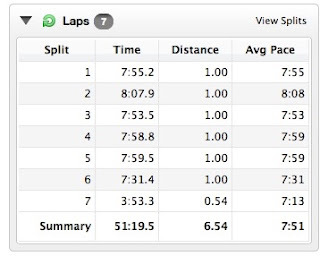 My last Olympic tri run leg I’d run sub 7 min/miles and I had hoped for faster but today 8s were my limit. Also this run was long at 6.5 miles rather than the usual 6.2. As running is one of my stronger disciplines I’d expected this to give me an edge. But no, not today. Today I was going to have to fight for every step. Every single step hurt. It should have been such a good run – I knew every twist and turn of the trail and every slight undulation but I couldn’t up the pace. My body was telling me it was not going to move faster than 8 min/miles and I’d have to fight to stay at that. Right. Change of goal. This run I am just going to try and stay at this pace and try not to get overtaken by any ladies. Despite the battle between my head and my legs, the kilometres ticked past fairly quickly and I was soon over the causeway and onto the flatter section of the trail. 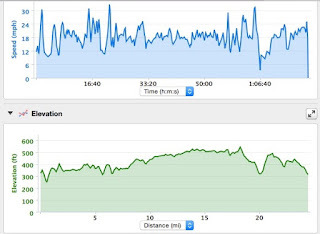 The lack of hills had been replaced by a headwind but it was cooling and pleasant on my overheated skin. I was just going to have to run this one in. I increased my pace slightly at 8km and tried to hold it steady. It would be gutting to get overtaken here. The run actually improved from about 8.5km. Whether it was knowledge that the end was nearly here or because we were out of the headwind I didn’t know but I managed to give it a bit more welly towards the end. However, to get to the finish you had a sharp right off the trail then a sharp left through a narrow gap onto a picnic area and up a short steep grassy hill. The race organisers ‘Go Beyond’ were very kindly giving us all a free finisher’s photo and the photographer was in prime position to catch us all in the final metres of the sprint finish. 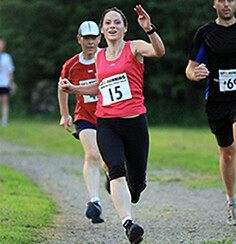 However thanks to a headwind, trying hard on the hill and my Sprint-Finish-Face I’m not looking my best. *May be looking insane*. I have mad, rolling eyes and a rigid grimace that even a taxidermist would have thought looked ‘too fixed’. WHERE ARE MY BBQ CHIPS DAMMIT!! The photographer must have feared for his lens and his life with that coming towards him. So thanks very much ‘Go Beyond’ for the free picture but I DON’T think I’ll be hanging this one on the wall. Well organised and with an all-you-can-eat fruit stand at the end, this was a nice local triathlon. There were no medals or goody bags but the cafe was open so we finished off the morning with BBQ chips. Who needs medals and goody bags? I have BBQ chips. Loz was 1st lady in our AG out of the water and 4th lady overall in our AG. She couldn’t put her face in the water a year ago through fear of the water. How inspiring is this lady??!! I managed an achievement of my own. My slowest 10k race ever ... even slower than my first ever timed attempt at the distance. I fought for it but it wasn’t my finest effort. Don’t do a race the day after you’ve flown back from holiday, had a stomach bug and used pina coladas as hydration! !